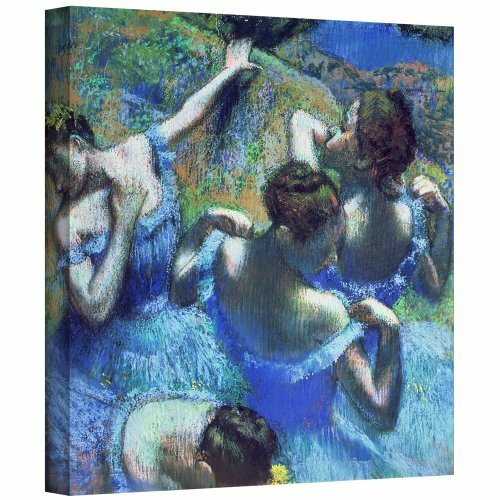 Edgar Degas 'After the Bath, Woman Drying her Neck' gallery-wrapped canvas is a high-quality canvas print in the Degas' trademark Impressionist style, depicting the figural curvature of his subject's back. An elegant, evocative addition to your home or office. Known to have influenced such great artists as Picasso and Matisse, Edgar Degas was an artist known as the "painter of dancers" who also worked at perfecting his skills in photography, lithography, oil paintings, pastels and etching. His innovations set the standards for Impressionists. He was especially intrigued by Parisian life, namely females, whether entertainment specialists, cabaret performers, or ballet dancers. When Edgar Degas returned to Paris, he found that he was tired of displaying his work in the Salon and joined more closely with a group of impressionists of the time. However, his paintings reveal an almost innate urge not to conform completely to all the whims of the day. His paintings of Absinthe and Dancers Practicing at the Bar are of particular note because of their real-world appeal. By his later years, he was dabbling in pastels, glazes and worked sculpting bronze.